The future of sustainable fashion is fabric made from food crop waste, says winner of H&M’s Global Change Award. 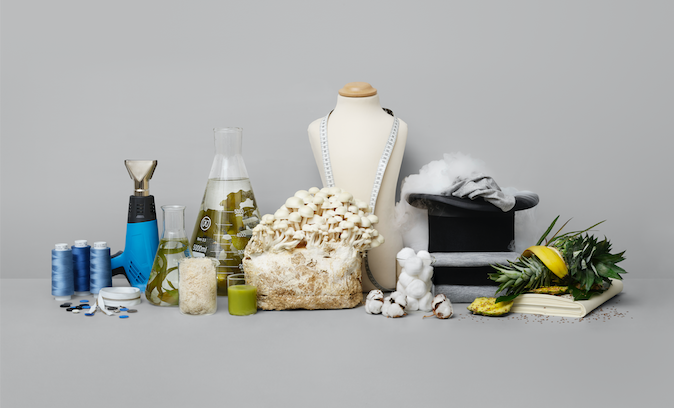 Expect to be dressing in leftover bananas stalks, pineapple leaves and sugarcane in coming years, thanks to US-based fashion company Crop A Porter, recipients on Tuesday of a €300,000 (£262,000) grant to develop sustainable fashion innovations. Crop A Porter’s Agraloop technology transforms food crop waste into bio-fibre textiles, providing a sustainable way to make fashion materials. The company was confirmed as the majority winner of a H&M’s €1m Global Change Award,which recognises the most exciting eco-friendly fashion developments, at a ceremony in Stockholm. Four other organisations will share will share a remaining €700,000 in grants. Every year millions of tonnes of harvest leftover from crops, such as banana stalks or pineapple leaves, are typically burnt or left to rot, releasing carbon dioxide and methane into the atmosphere. While creating materials from waste may have been seen before, this new technology gives back to the farming communities with whom the company works by turning “liability into value”. The company is currently working in China, “rapidly expanding” in North America and soon to launch in Costa Rica. Nichelson says they intend to see the mini mills owned by the local communities in the future. “This whole concept creates jobs in whole areas in these disadvantaged communities,” he said. Innovations that have previously won the Global Change Award – set up and funded by the H&M Foundation in 2015 – include the creation of digital thread, and a process in which pieces of old denim are used to dye new denim, reducing the environmental impact of the traditional dyeing process. This year, the five winners were chosen by an international panel, including Vogue India’s editor-at-large Bandana Tewari and Dame Ellen MacArthur, who leads a foundation devoted to a circular fashion economy. The public were then given the opportunity to vote for their favourite innovation, with Crop A Porter bagging the most public votes.